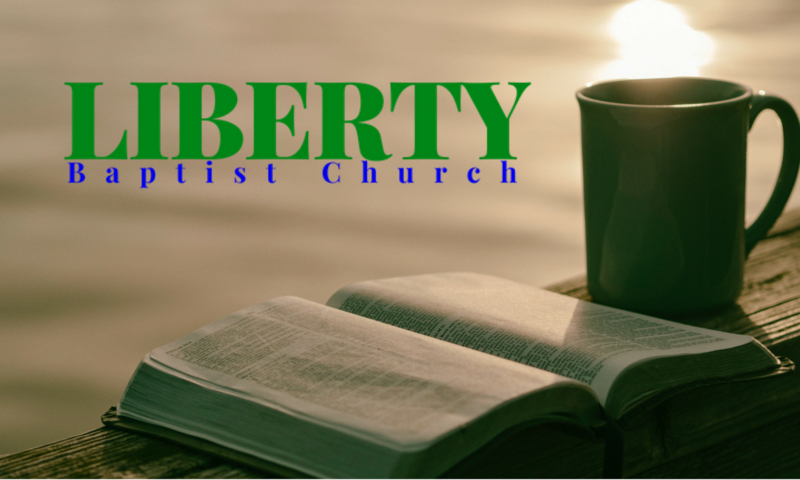 In view of the present apostasy in many religious organizations, we wish to set forth a declaration of Biblical doctrines believed by Liberty Baptist Church and to which its membership should subscribe in its entirety. We believe the Holy Bible was written by men supernaturally inspired. It is truth without error for its substance. Therefore, it shall remain to the end of the age the only complete and final revelation of the will of God to man; the true center of Christian union and the supreme standard by which all human conduct, creeds, and opinions should be tried. By “The Holy Bible” we mean the collection of sixty-six books, from Genesis to Revelation, which, as originally written does not only contain and convey the Word of God, but IS the very Word of God. By ”inspiration” we mean the books of the Bible were written by holy men of old, as they were moved by the Holy Spirit, in such a definite way their writings were supernaturally and verbally inspired and free from error, as no other writings have ever been or ever will be inspired. The King James Version will be the exclusive text for all preaching, teaching and use in the Liberty Baptist Church. We believe a local, New Testament Baptist Church is a congregation of baptized believers associated by a covenant of faith and fellowship of the gospel and is established by scriptural methods. Said church is understood to be the citadel and propagator of the Divine and Eternal Grace, observing the ordinances of Christ, governed by His laws, and exercising the gifts, rights, and privileges invested in them by His Word. Its officers of ordination are Pastors and Elders whose qualifications, claims, and duties are clearly defined in the Scriptures. We also accept the office of Deacon as established by Scripture, the office to be developed and used according to the need of the Church. We further accept the office of Trustee, not as a scripturally established office but rather an office developed in the church to meet the legal requirements of the government of the State of Missouri. We believe the true mission of the local church is found in the Great Commission: 1) to make individual disciples 2) to build up the local church 3) to teach and instruct as He has commanded. We do not believe in the reversal of this order. The command to give the gospel to the world is clear and unmistakable, and this Commission was given to the local church. We are commanded to bring our gifts into the storehouse (common treasury of the local church) upon the first day of the week. Under Grace we give (and do not pay) the tithe – “Abraham gave the tenth of the spoils,” – Hebrews 7:2, 4. This was four hundred years before the law and is confirmed in the New Testament. Jesus said concerning the tithe, “these ought ye to have done, Matthew 23:23.